To understand the performance of a website and identify areas ripe for improvement, we created a model based on intent, called the Buyer Intent Model. In this article, we explain how we use this model to identify which search terms to target to get the best possible return for our customers. The Buyer Intent Model allows us to categorise all search queries for which a site appears, based on product and brand awareness, so that we can then compare performance of branded and generic terms and better understand market share. We use the data in each category to identify opportunities to improve a site’s performance. As shown in the illustration below, each category is assigned a different level of intent. 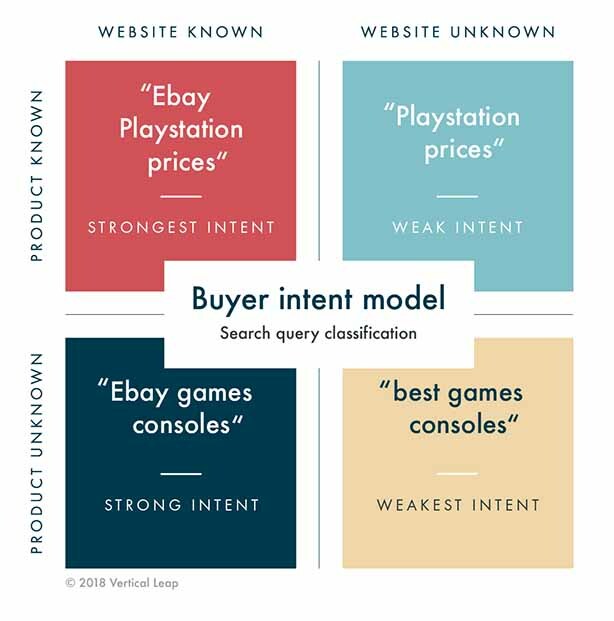 For example, someone searching for ‘Ebay Playstation prices’ is classified as ‘website known, product known’ and has the strongest transactional intent. Whereas someone searching for ‘best games consoles’ would be categorised as ‘website unknown, product unknown’ and has the weakest intent. This deep learning classification model learns how to classify each term. We pull the search terms from Google Search Console and our own machine learning platform, Apollo Insights, before feeding them into the model which classifies them into the four options. We are then able to measure each group separately to see how they perform e.g. position in SERPs, CTR, transactions etc. 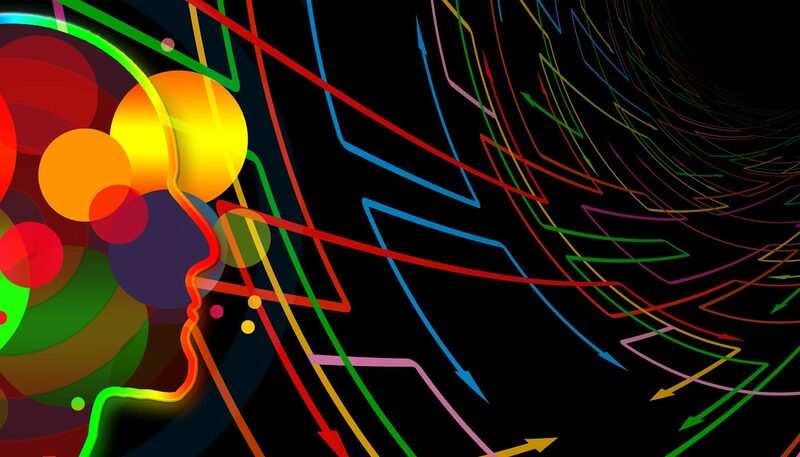 By understanding the performance of each category against others, or even competitors, we can use the data for our predictive and statistical models. Below is an example of a click-through rate (CTR) comparison between branded and generic terms appearing in positions one, two and three on Google. So, if someone enters a search where the product is known and the website is known, and a listing of that product from that website appears in position one, it will have an 82% CTR, much higher than a generic ad would achieve in that position. This is no surprise as user intent is high and their expectations have been matched. 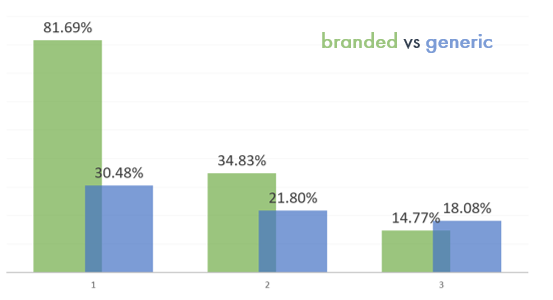 However, what’s interesting is that if a branded listing appears in position three, the CTR (14.77%) actually falls below that of a generic ad (18.08%). The difference in CTR for branded vs generic is dependent on user behaviour. For branded terms, the user would expect to find their result in position one or two, so anything below that may not be as relevant. But for generic ads, the user is not looking for a brand – they are looking for the most useful result, which may not always be in position one or two. Understanding the difference in CTR or organic search performance for each one of the categories allows us to treat each case differently instead of applying a blanket approach. Insights like these not only help us to identify the best opportunities, but also to measure results and estimate outcomes more accurately. Once we know which groups perform best, we can focus more on targeting these types of terms to get the best possible ROI. Additionally, we can pull ‘related terms’ from Apollo, feed these into the model, look at the search volumes for these terms and decide whether they’re also worth going after. We can also crawl competitor sites to see which terms are performing best for them. This allows us to understand the gap between our customer and their competitors and see if there are any opportunities we should be targeting. 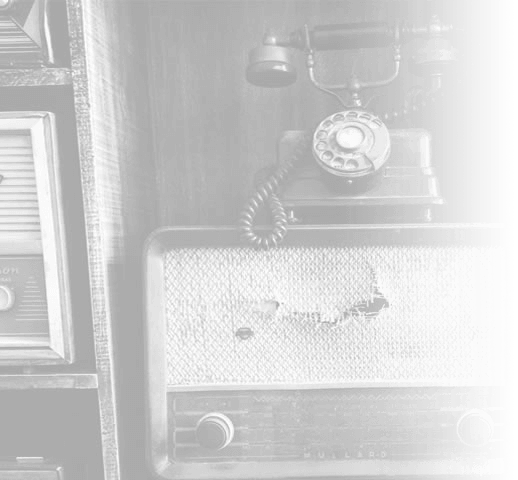 If you want to learn more about the clever ways we are helping our customers get ahead of their competitors, talk to us today. Call 023 9283 0281 or submit your details here and we’ll call you.